What’s the most important part of any workout? Is it the exercises? The number of reps? Or could it possibly be the post-workout nutrition? While all of these pieces are integral to each workout, we would argue that the most important step of a workout is often the one most forgotten about: stretching. 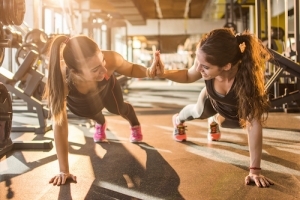 Whether you think you need a personal trainer for stretching or not, a stretching coach could be exactly what you need to get the most out of your workouts and improve your recovery time. Staying healthy is easier said than done. Striking the perfect work-life balance can be just as tricky. As you juggle your busy daily schedule alongside other obligations, your own personal health and wellness can get pushed further and further down to the bottom of your to-do list. We may think that work is just another part of our personal wellness, but self-care is important and paying close attention to your own wellness is imperative to your success. At Whole Intent, we help our clients learn how to balance not only healthy decision making and fitness, but general personal wellness as well. Our wellness coach in Denver will work with you one-on-one to help you achieve the wellness you desire. Throughout the work week of our modern society, it can be difficult to find time to exercise. Even if you have a gym membership or one in your office building, sometimes it is just impossible to work in a quick workout routine. You could find time for a workout on Monday and hit one muscle group, but you might not have the time to hit your other muscle groups for the rest of the week. At Whole Intent, we understand the modern difficulties of workouts and we strive to help you find ways to work in full body workout routines in Denver. Let’s face it: Denver is booming right now. It’s a fact that we have to meet head-on. Whether it’s the nearby nature of the mountains or the new cannabis industry budding out of its infancy, people are flocking to Denver at an unprecedented rate. In 2000, Colorado had just over 4.3 million residents and today, it’s estimated Colorado has over 5.7 million residents, that’s a surge of over 1.4 million people in just 20 years. As Denver grows, so will the competition in every industry, especially housing. It’s time to ask yourself: how is your apartment adjusting to expanding population? You're motivated, you're invested, you're ready to jump into weightlifting. But, if you've never done weightlifting before, you may not know exactly where to start. Some exercises prove to be much more challenging than others, especially when it seems like everyone in the gym does the exercise differently and offers contradictory advice. One of the most troublesome and nerve-wracking exercises for newbies is the squat. As a part of our Weightlifting 101 series, we will cover the proper squat form and technique, getting down to the nitty gritty of how to do this specific exercise without injuring yourself.